Customers have the option to use our new Stamp Indicia rather than a PPI (Postage Paid Impression) on their mail pieces (eligibility criteria apply). Stamp indicia are designed to increase response rates for customer as recipients see the stamp image as a more personal form of postage when compared to PPI (Postage Paid Impression). For more information on how to produce the indicia please see our technical specification. In order to use the indicia an accredited print provider must be used to produce the imagery. A list of accredited suppliers can be found at the bottom of this page. If you are a print provider and wish to become accredited please see our technical specification which has details of the image requirements and the process for accreditation. 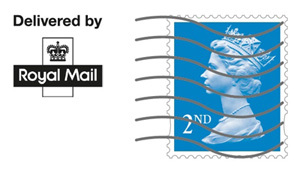 To find out how the digital stamp indicia has improved customer results see our case study.